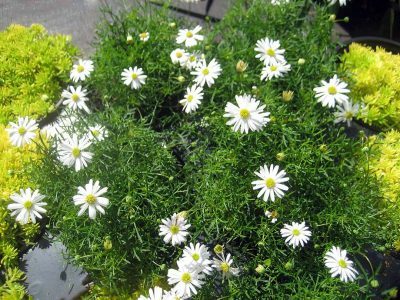 12″ x 12″ Surdaisy White is a compact perennial with small, brilliant white daisy flowers and finely dissected deep green foliage. 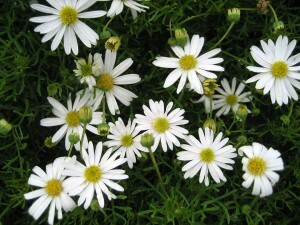 Lightly shear old flowers and then fertilize to keep plants in lush growth and flower. Plant in full sun to light shade and supply moderate water.